Birdsong Cottage is situated in an idyilic, sunny, rural setting surrounded by mature trees and beautiful gardens. Birdsong Cottage offers a wonderful dawn chorus from the native Tui,s and Bell birds.To all nature lovers Omanawa Falls and Mclaren Falls are a short distance by car or foot. If it is restaurants, shopping and the beach that is desired then Tauranga and Mt Maunganui are 20 mins drive. Birdsong Cottage offers luxury boutique style accomodation perfect for a romantic weekend or a family beach and activity holiday. The cottage is a self contained wing of a family homestay. Breakfast provisions can be provided if requested. There is a childrens play area and high chairs/ cots can be arranged. Smoking allowed outside only. Dogs and pets by discussion prior to booking so please ask prior to paying deposit.No boundary fencing and dogs not to be left unattended.Animals not allowed on furniture thanks you. We stayed at Birdsong with our 5 year old son and miniature schnauzer. We stayed at Birdsong with our 5 year old son and miniature schnauzer. The property was great for both of them with lots of outdoor space, a slide, swing, and trampoline. It's such a beautiful setting! The place is in the country and very beautiful. The place is in the country and very beautiful. And a very short drive into town. Very well appointed! Birdsong is a lovely property and a great place to base yourself for a Mt. Birdsong is a lovely property and a great place to base yourself for a Mt. Manganui/Tauranga vacation. It is a good 25 minute drive to the beach but it tucked away in a pleasant part of the countryside near the waterfalls. It was great that we were allowed to bring our dog and their was a cow paddock where she could run free. Owners were/are top flight and clearly care. Great if you have children - toys supplied and lots of room outside to run around. Property and location were excellent, although there was a lot of traffic on the road to Tauranga. 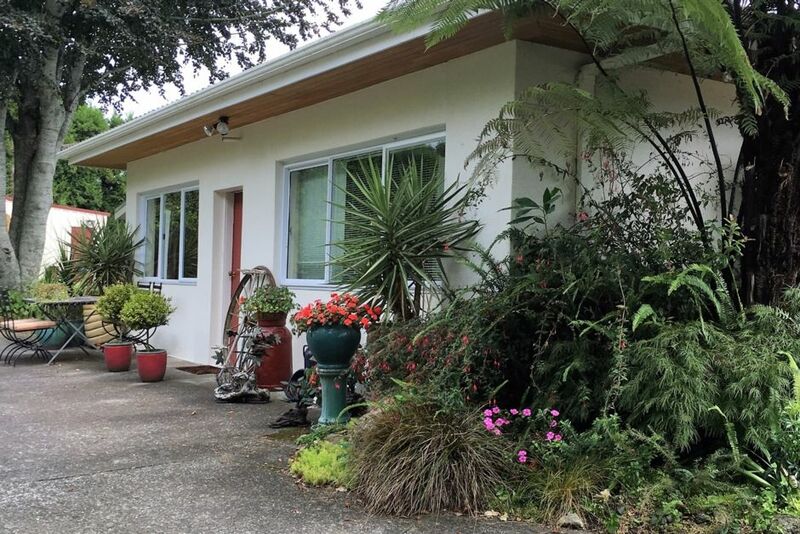 Property and location were excellent, although there was a lot of traffic on the road to Tauranga....Gardens, bach and birds well worth to travel for. The Birdsong Cottage was a little slice of England in the country. The Birdsong Cottage was a little slice of England in the country. Alison's little touches were fantastic, huge welcome fruit bowl and chocolates on our towels, beautiful appointed cottage and we will definitely stay again the next time we are up in Tauranga.